Looking to study French grammar? You've come to the right place! Kwiziq French covers every conceivable grammar topic and rule across the French language! This section contains some of the most popular lessons in our system. You might also like to look at our French verb conjugation tables. 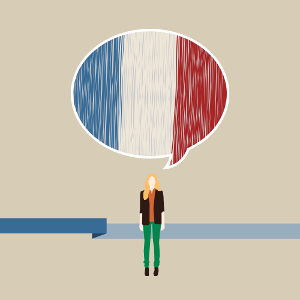 If you're not sure what to study, you can easily find out by taking our French level test. We'll not only tell you the level we think you should work on, but also provide you with a complete set of corrections to your mistakes and a concise study list with 10 of your highest priority study items. As you take French tests within our system, you'll receive constant study notes based on how you are doing, and be tested on exactly the things you need to be practising to ace your exam. Our smart technology means you don't ever have to make a decision about what to study next! Just click "test now" and let KwizBot decide what's next for you so you can focus all your attention on improving your French!